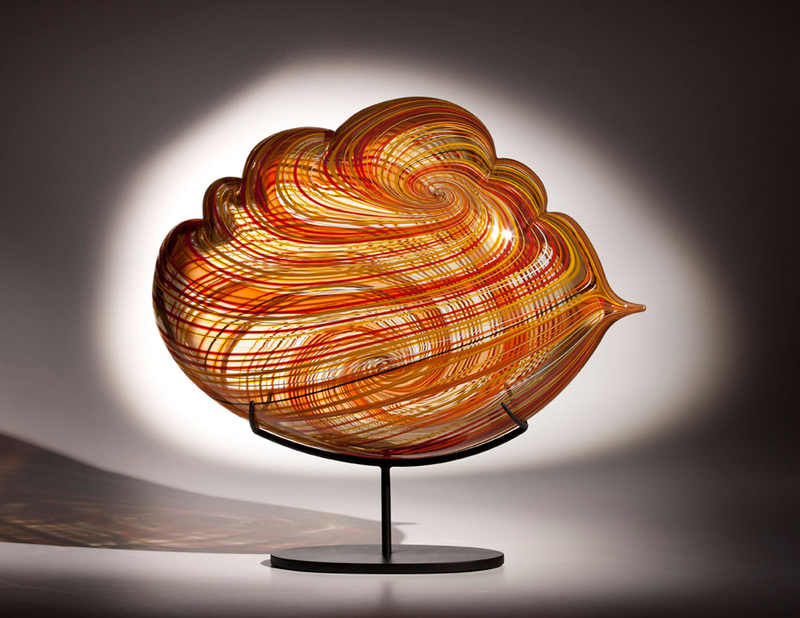 Nancy Callan’s career began as an assistant to Lino Tagliapietra, and today she remains a key member of his glassblowing team while maintaining her own studio. She is represented by Holsten Galleries (virtual), Santa Fe, New Mexico. “Nancy is one of my favorite artists and also one of my favorite people. Her work is an excellent representation of who Nancy is as a person: playful, colorful and extremely creative.” – Kenn Holsten. 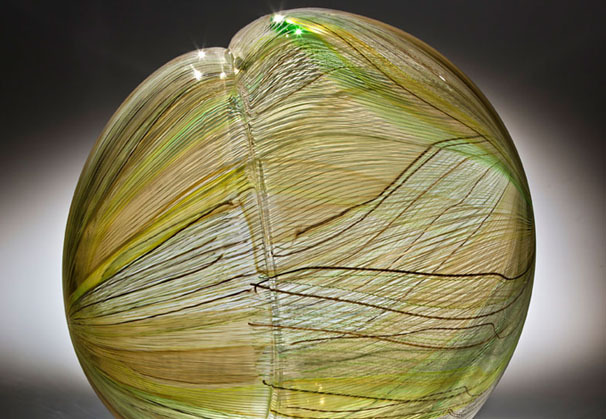 My current work in glass is concerned with the marriage of form and surface. 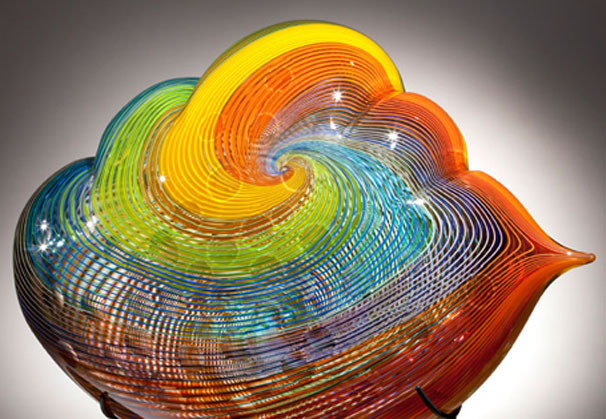 In many of the new pieces I strive for a sculptural essence that recalls nature. I love Brancusi and the pure, refined shapes that he created. That kind of formal clarity is important to me. I try to give each piece a definite personality or attitude. The gestural quality gives it life. I think that is why I’m often attracted to asymmetrical forms -- they seem to balance or move in a more interesting way.Many of my recent forms are drawn from nature: seeds, leaves, cacti, and even insects have beautiful shapes. Getting up close and looking at the textures on a cactus or the pattern on a bug is amazing. I also find ideas for surface treatments in current and vintage fashion and fabrics. Currently I’m drawn to superfine lines and patterns that have a more random look. 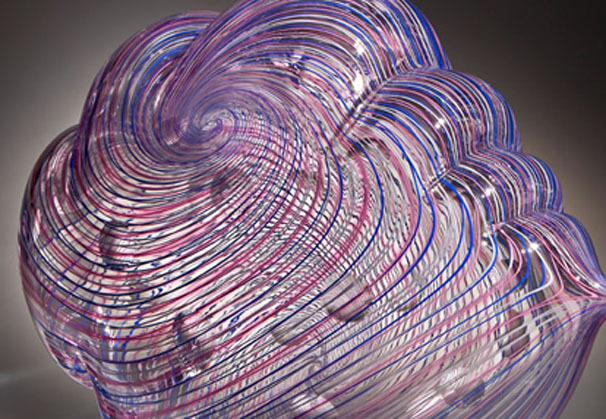 My aesthetic embraces irregularity, experimentation, and a wide range of color combinations. 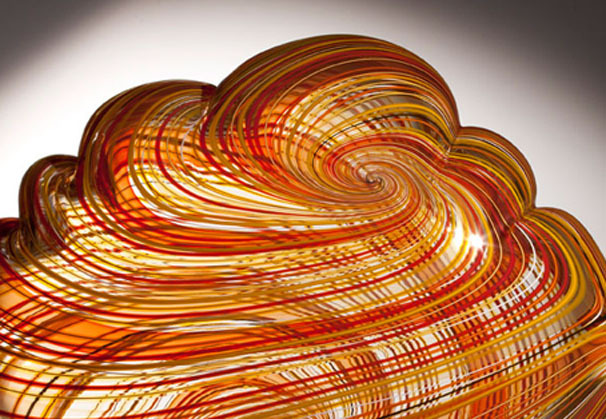 I continue to find new ideas for the “Cloud” and “Top” series -- these forms are a wonderful canvas for color and movement in the glass. 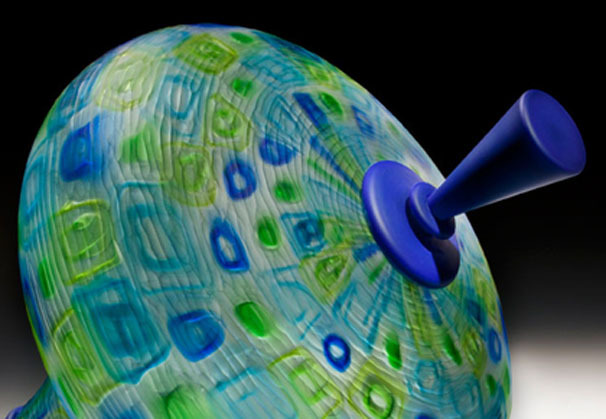 I use the traditional Venetian cane methods as a palette of options for my surfaces. Varied line widths, broken canes, and distorted and overlaid patterns are a few of the new approaches that I am beginning to explore. 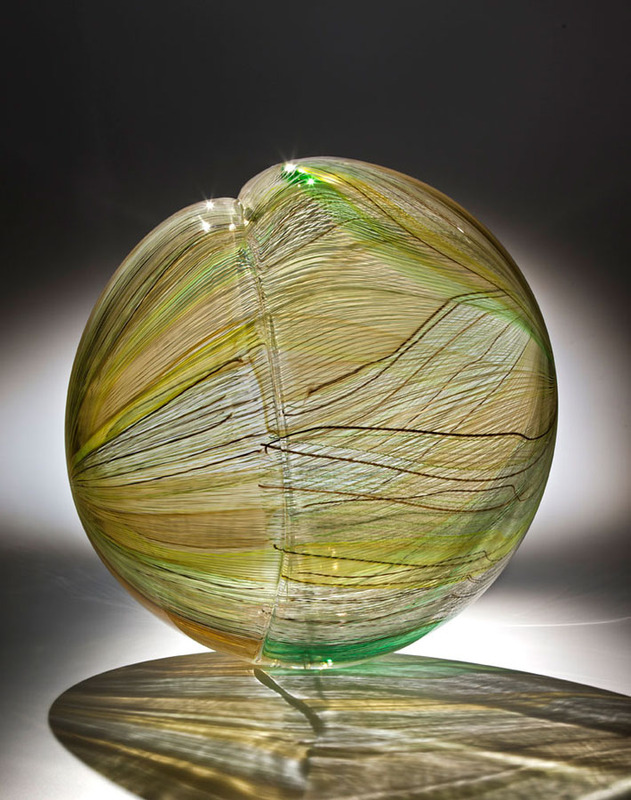 It is fun to realize that I can do things in glass that I thought weren’t possible five years ago. As my skills continue to develop, I hope to fully embrace a sense of adventure and play in the studio. 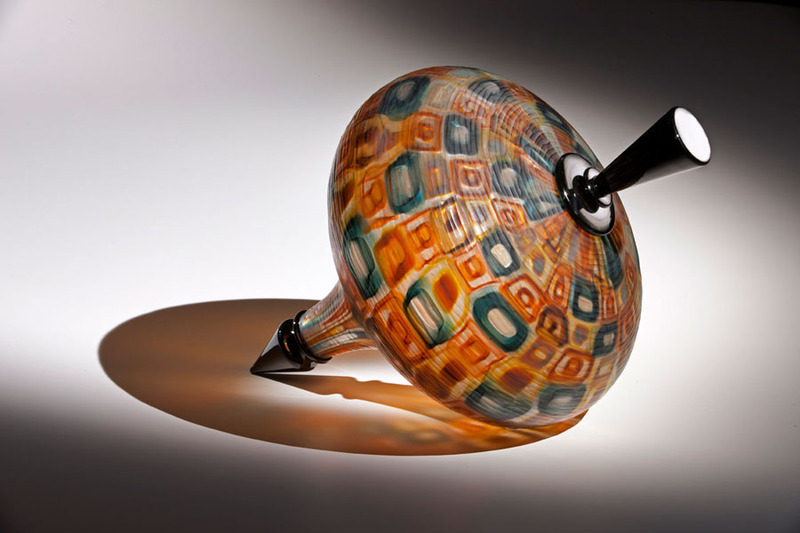 Boston native Nancy Callan joined the Seattle glass community in 1996, after completing her studies at the Massachusetts College of Art. 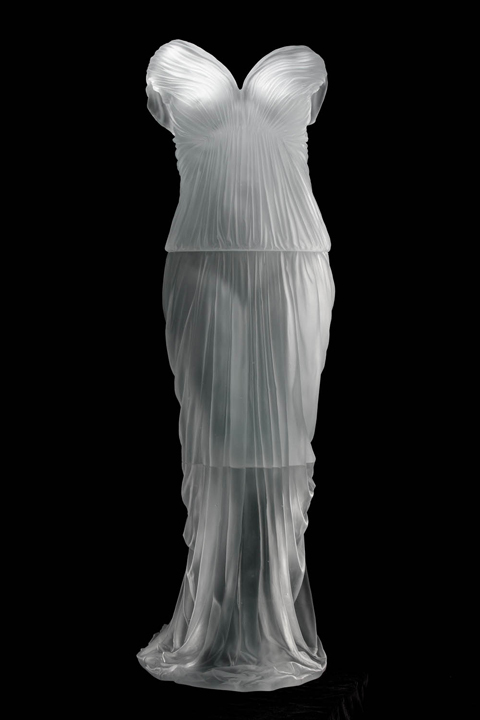 Her career began as an assistant to Lino Tagliapietra and as a production gaffer for the Manifesto Lighting Corporation. 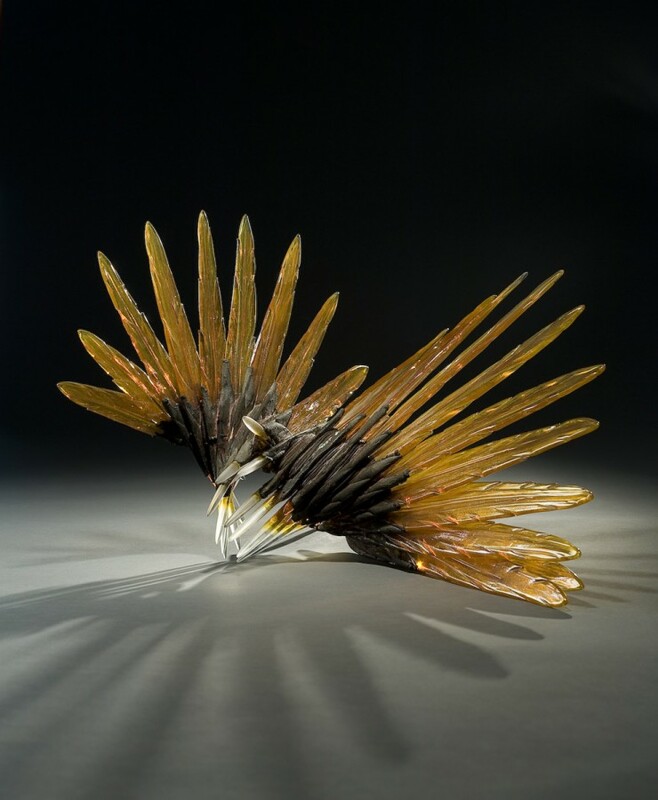 While developing her own artwork, Callan assisted prominent artists including Flora Mace and Joey Kirkpatrick, Ginny Ruffner, and Josiah McElheny. 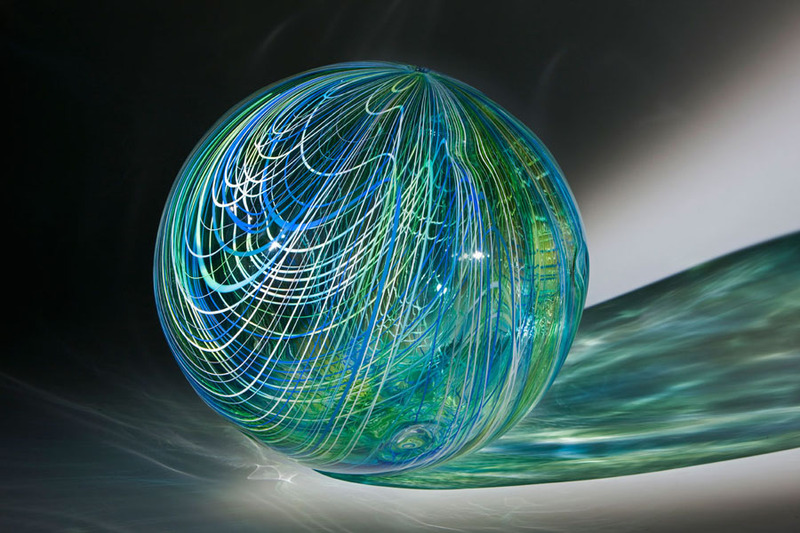 Today, Callan remains a key member of Lino Tagliapietra’s glassblowing team and travels internationally as the maestro’s assistant, while maintaining her own studio practice. 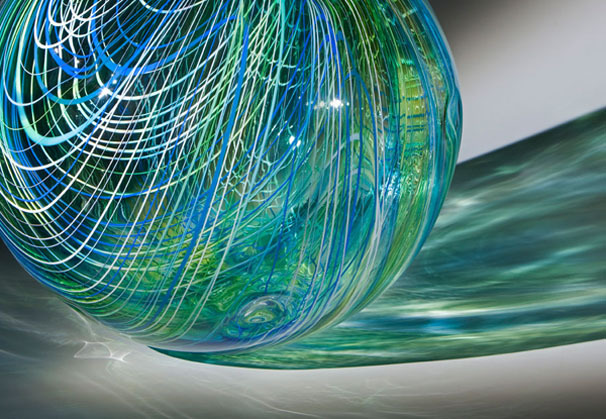 Callan’s artistic voice as a glass sculptor reflects her high-level training and talents. Her work combines the skill and finesse of the Venetian tradition with the wit and aesthetic sensibility of a contemporary artist. 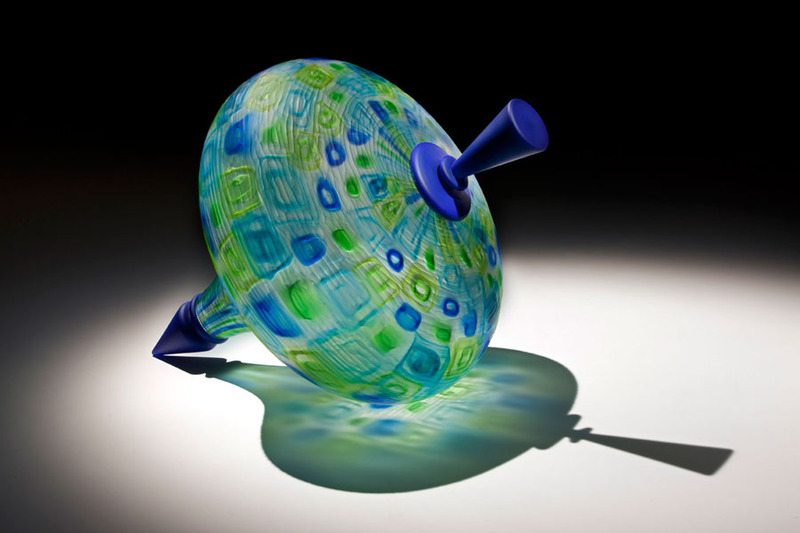 Although her artwork features highly refined forms and complex patterns, a sense of play and fun is equally prominent. 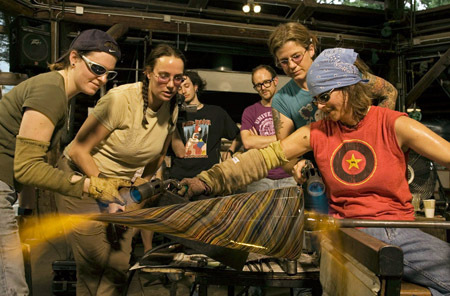 Collaboration is an important aspect of Callan’s studio practice. 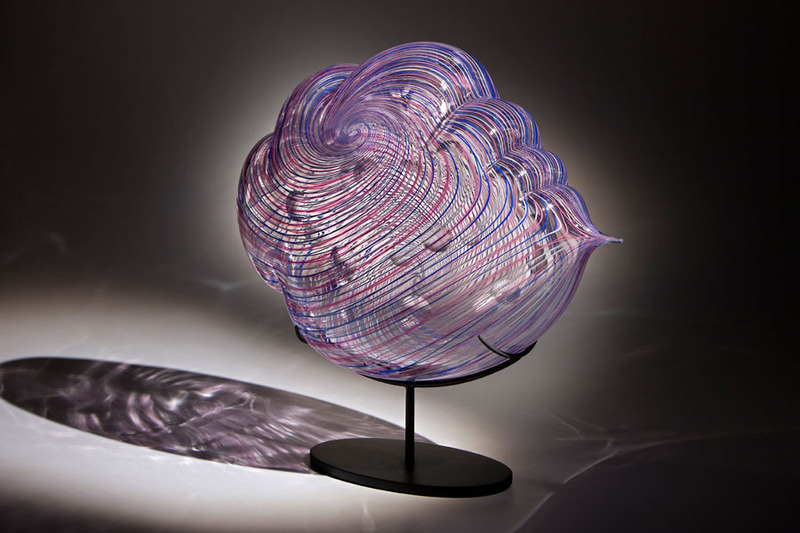 She works with artist and lighting designer Lindsey Adelman on projects that combine hand-blown glass with lighting, sculpture, and installation. 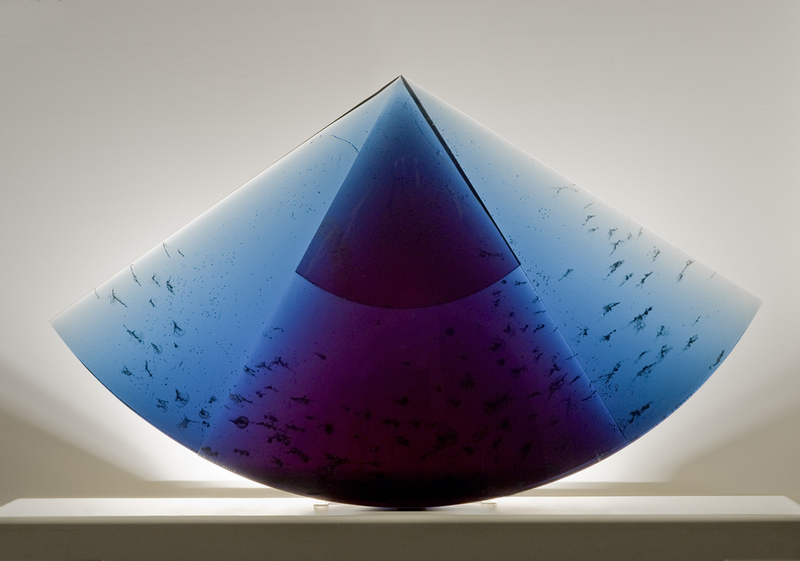 In 2010 they exhibited their work in “The Secret Garden” during NYC Design Week. 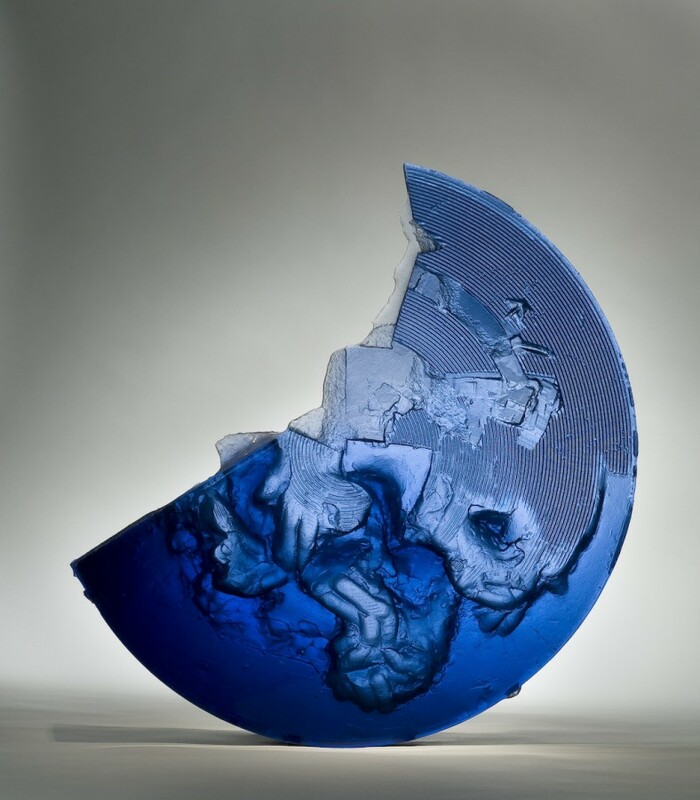 She has also created two collaborative exhibitions with her partner Julia Ricketts, a painter. 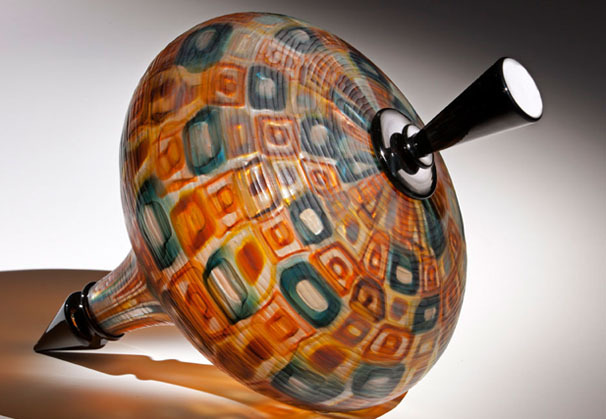 Callan’s teaching credentials include advanced glassblowing workshops at the Pilchuck Glass School in Stanwood, WA and Haystack Mountain School on Deer Isle, ME. 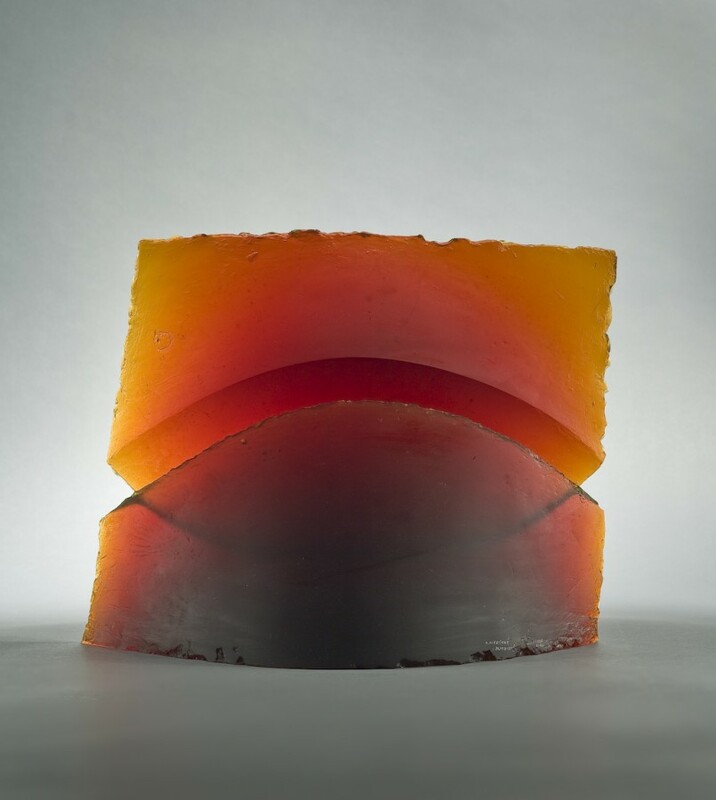 She is the recipient of numerous awards, including the Creative Glass Center of America (CGCA) Fellowship in Millville, NJ; a residency at the Toledo Museum of Glass in Toledo, OH; and a number of residencies at the Museum of Glass in Tacoma, WA. 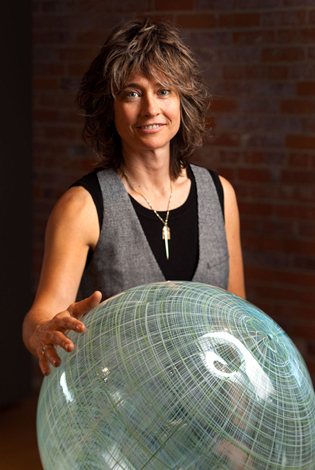 Nancy Callan is represented by prominent galleries around the country. 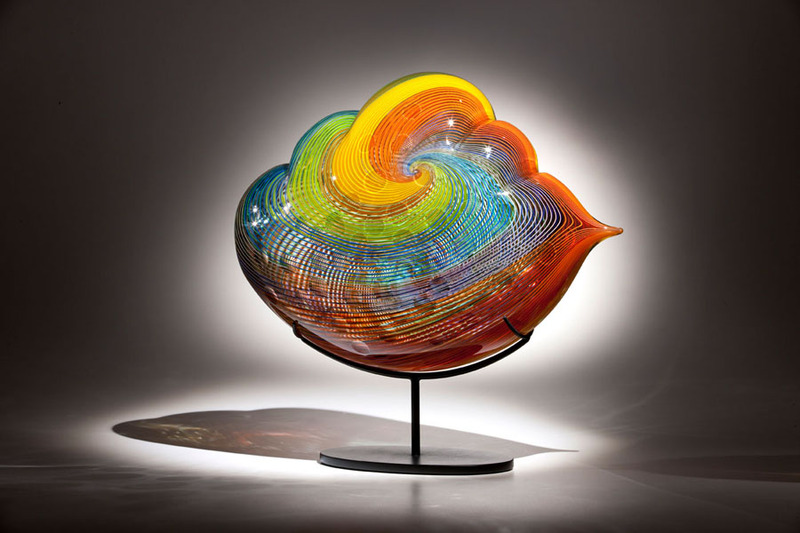 Her artwork is held in the permanent collections of the Palm Springs Art Museum, Palm Springs CA; Shanghai Museum of Glass, Shanghai, China; the Museum of Glass, Tacoma, WA; the Museum of Glass, Corning, NY; the Muskegon Museum of Art, Muskegon, MI; and the Museum of Northwest Art, La Connor, WA. We are grateful to Holsten Galleries, [url=http://]http://[/url], for providing the materials for the Artist of the Month.